EPA is an abbreviation for the omega-3 fatty acid Eicosapentaenoic Acid. DHA is short for Docosahexaenoic Acid. The anti-inflammatory properties of fish and fish oil are mainly due to these two omega-3 fatty acids. The benefit of EPA and DHA comes from reducing cellular inflammation by inhibiting the formation of inflammatory hormones (e.g. eicosanoids) derived from the omega-6 fat, Arachidonic Acid (AA). However, their greatest benefits come from the generation of pro-resolution hormones (i.e. resolvins) that turn off the inflammatory process. If someone considers themselves healthy, why would they need to take omega-3 fatty acids? Omega-3 fatty acids are considered essential fatty acids meaning they must be supplied in our diets. They are the building blocks for hormones that resolve existing inflammation. Unresolved inflammation is the primary reason we gain weight, develop chronic disease, and age at a faster rate. The typical American diet is very low in omega-3 fatty acids and rich in omega-6 fatty acids (the building blocks for pro-inflammatory hormones). This is why you need a high concentration of purified omega-3 fatty acids to make a difference in addition to lowering the levels of omega-6 fatty acids in the diet. 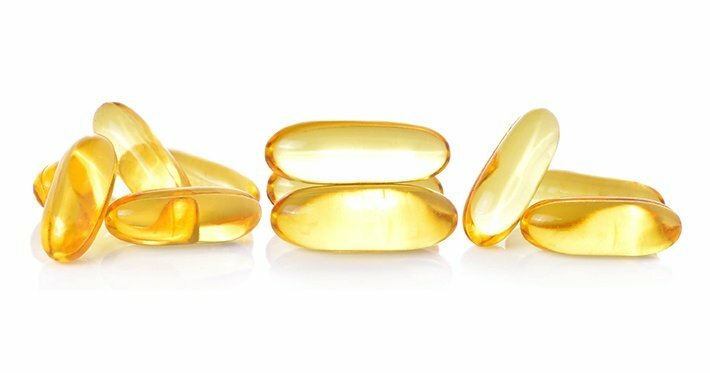 Why is fish oil superior to krill oil, flaxseed or other omega-3 products on the market? Fish oil is made by heating fish to release the stored fats. From this crude fish oil, the omega-3 fatty acids can be further refined/purified into omega-3 concentrates. Krill oil is actually made of small shrimp that have been harvested and extracted using harsh chemicals (hexane and acetone). Furthermore, the omega-3 fatty acid content in krill oil is much lower than in omega-3 concentrates derived from fish oil. Flax seed oil is rich in alpha-linolenic acid (ALA). Although ALA is an omega-3 fatty acid, it has no health benefits unless converted into EPA and DHA. This conversion is very inefficient (about 1-10%) so you would have to consume large quantities to get the same benefits of a much smaller amount of omega-fatty acid concentrates. What is it about OmegaRx2 that makes it different from other brands? The answer is purity and potency. OmegaRx 2 is highly purified to remove as many PCBs as possible and our standards are eighteen times more rigid than the industry standards. In addition, Zone Labs publishes the purity data for every lot of OmegaRx 2 on our website to give our customers total transparency. All omega-3 fatty acids are prone to oxidation which is why we publish the levels of stability (defined by the TOTOX level or rancidity in layman terms) on every lot of OmegaRx2 as well. Our post production levels of rancidity are among the lowest on the market. Finally, the concentration of OmegaRx 2 is among the highest concentration of any non-prescription omega-3 fatty acid product on the market. How much fish oil do you recommend people take? I recommend taking a daily minimum of 3 grams of EPA and DHA. That said, we use our Cellular Inflammation test to determine the ideal amount an individual requires. This test looks at the ratio of two key fatty acids in the blood: Arachidonic Acid (AA), an omega-6 fatty acid which is the building block for pro-inflammatory hormones, and EPA which is the building block for pro-resolution hormones. The AA/EPA ratio or Cellular inflammation Score will tell you with the most precision how much you need to take on a daily basis to optimize your overall wellness. It has been demonstrated that decreasing the AA/EPA ratio is strongly associated with a longer life. If my cellular inflammation score is ideal, do I need the heightened concentration? If your Cellular Inflammation Score is between 1.5 to 3 you are in the ideal range to promote future wellness. The higher the Cellular Inflammation Score, the more inflamed you are. The average American has a Cellular Inflammation Score of 20. Resolution of inflammation is key to maintaining wellness, and this can only be achieved with a lower score. It is possible to achieve an ideal AA/ EPA ratio or Cellular Inflammation Score within 30 days with the correct dosage of OmegaRx 2. When will people start seeing the benefits after they begin to supplement and what will they be? I generally tell people that it takes about 30 days to truly see the impact of supplementation in the blood, but it's only a matter of days that their benefits subside once you stop taking them. This means you have to be consistent with your intake of purified fish oils and take it daily. Omega-3 fatty acids have been shown to help support a healthy heart, brain function, behavior and mood regulation, cellular rejuvenation, athletic performance and recovery, and improved vision. Their benefits are due to their role in resolving excess cellular inflammation. Do you have tips for how to take it? Most people do just fine taking our recommended dose of 4 capsules or 1 teaspoon of OmegaRx 2 daily. I always suggest taking it with food and if you want to split up your dose between morning and night to see how you do that is fine too. How long do you have to take it? For a lifetime if you want to maintain wellness. Once you stop taking omega-3 fatty acids your levels of omega-3s will soon return to baseline within a few days. What are the benefits of omega-3 fatty acids across the lifespan? Fish oil or omega-3 fatty acids are critical across the lifespan. This is why they are essential nutrients. It starts in the womb as they support brain development in utero in addition to minimizing post-partum depression for the mother. We now know that the dietary and metabolic environment the fetus is exposed to in the womb can echo through the rest of his or her so it’s critical to have good nutrition and adequate levels of omega-3s throughout pregnancy and after. The rise in conditions such as autism, ADHD, diabetes and heart disease in early childhood and young adulthood may have a connection with the high levels of omega-6 fatty acids in our diet and low amounts of omega-3s. I strongly believe that chronic conditions associated with aging such as heart disease, diabetes, cancer, and dementia start with the failure to resolve inflammation so by getting adequate levels of omega-3s early on you can help to promote a lifetime of wellness.